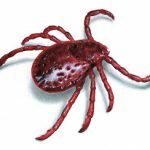 Blood-sucking arachnids such as ticks can pose a potential harm to both your pets and your family. They can live and reproduce in your lawn or woods and cause serious internal diseases that you really want to avoid. We have found that there is no substitute for investing a little time and money on making sure that your immediate environs — your yard and property — are as tick-free as possible. We say “as possible” because, after all, we are dealing with nature. You can never annihilate all ticks, but you can do some things to keep them at bay. Ticks can easily hide all over your yard. 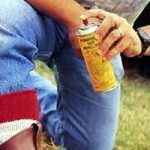 As much as we would like to share some kind of silver bullet for getting rid of ticks, it really requires several things being done in concert with each other for best results. In addition, your yard is a unique space. 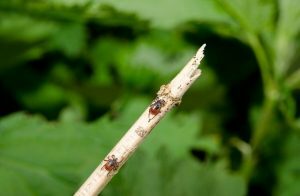 Your particular ticks might be coming from a source that someone else’s yard is not affected by. Here are a few things you can do, however, to keep the tick population down. For the elimination of the fleas and ticks, neatness counts. If you clean your yard once every couple weeks, you may eliminate the threat of ticks entirely. Remove debris such as piles of bricks, stones, and lumber. Pick up discarded pots and other items and stack them neatly. Wood piles are notorious for housing ticks, as they can provide a nearly ideal environment for them. Trim back overhanging trees to increase sun exposure, which will deter tick conditions from being optimal. Direct sunlight in a hot dry area helps to repel ticks. It is very important to clean your yard regularly in the summer as it’s their growing and breeding seasons. Feral cats, rabbits, and squirrels regularly visiting your yard are the reason you have ticks in your yard. Urban wildlife regularly carries ticks and fleas and other parasites. If these critters visit frequently, you need to do something about it. Fencing a yard is a suitable approach if it fits with your overall neighborhood aesthetic, or you can also spend time to reduce your yard’s appeal to them. These animals are attracted by trash and debris, so get rid of it. Skunks may prowl for grubs in your yards and lawn. Squirrels are attracted by the bird seed and mice may feast on the berries on shrubs. Never allow the wildlife to set up housekeeping under decks on your property. Tick Tubes are a genius invention that basically uses the mice to get rid of ticks. 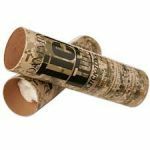 The idea is that you give mice supplies, through a “Tick Tube”, to build their nests. That is right, you are helping the mice out! But the key is you are giving the mice materials that are treated with permethrin. 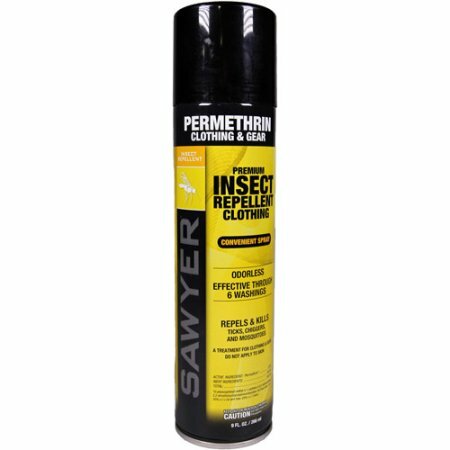 Permethrin can kill ticks, so when the mouse builds their environs with this material, they are basically getting rid of the ticks in the process. This is important because it is believe that young ticks get the pathogens for Lyme disease from mice and other small rodents and birds. Tick tubes are biodegradable, and the idea is you just leave many out around your yard. We did an entire piece on it here, if you want to do a deep dive. You can also view our favorite tick tube, here. 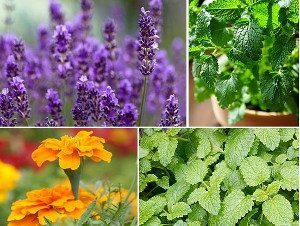 If you didn’t know this before, there are plants which show signs of being able to repel pests, even ticks. Plants such as thyme, citronella, geraniums, and eucalyptus are believed (and in some cases proven) to naturally deter insects and arachnids. This means you could make a dent in your tick snd mosquito populations, as well as wasps, and hornets. Growing these plants in your backyard and lawn may not only keep away ticks but also add beauty to your lawn. Establish a barrier around your house with an environmentally safe pesticide. This will help you to prevent ticks and fleas from migrating into your home without your permission. This method is most effective if you don’t have a pet. 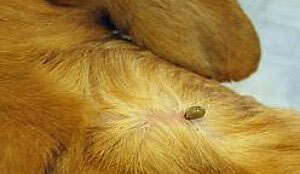 If you have a pet, the ticks can still hitch a ride and get into your home that way. Create a 6-inch wide clean area by getting rid of every sort of garbage, brush, plants, and leaf litter around your home. Keep the lawn inside the perimeter mowed on a very consistent bases. This will eliminate the hiding places that ticks use for sanctuary. Move playsets and kids toys to the middle of the yard away from the edges and tick habitat. This will lower the odds of your children coming in contact with ticks — but can’t prevent them altogether. Your pet’s favorite spots might be infested with the larvae of ticks, and you may not have the time to wash them out every day. As such, you’ll need a more permanent solution. Ticks prefer to remain within 50 feet of your pet’s favorite resting area for an easy meal. Clean and treat all the cool, shady spots in your yard. These are the spaces under the porches, along with the fence line, and beneath low-hanging shrubs. Always treat dog runs or kennels. Keep the grass in your yard mowed to the right height. Ticks prefer to stay under the shade and moist areas. Having your grass at the right height will keep it exposed to the sun and will repel ticks. This will also make them vulnerable to the insect eating birds. What is the right height? It depends on the grass and your region, but most lawn experts suggest keeping your lawn between 2-3 inches is about right. The shorter the better when it comes to ticks, but then again a shorter lawn will put more stress on the grass. 2-3 inches is a good average. Worth a try. Nothing is better in this world than using natural organic blends to fight the natural parasite. In this way, you don’t do any damage to nature, and your job of protecting your home, family and pets gets done. 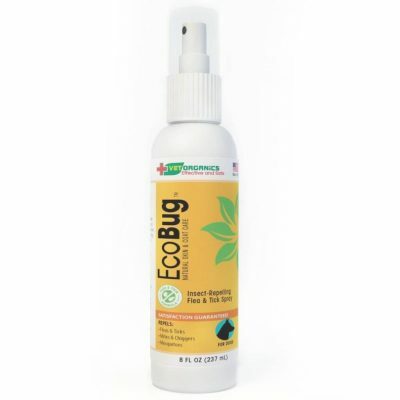 What’s problematic with the common and regular use of aerosols is that they constantly deteriorate our environment and by using this natural blend you can not only get rid of the threat of ticks but can do your part to help conserve of the environment. 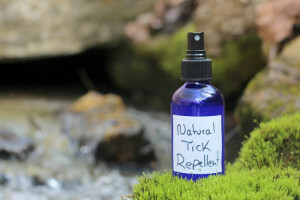 A combination of geranium and lemongrass oil is considered to repel ticks completely. All you need to do is put 2-3 drops of these oils in a container of water and mix the blend well. Spray the blend in your yard and lawn, and make sure to pay special attention to corners in order to keep the ticks away. Note that geranium oil at concentrated levels can be toxic to dogs, so if you have a pet that tends to ingest grasses as some do or likes to like everything he/she comes in contact with, you may want to be careful with geranium oil. OK, this one is a bit of an old wives tale, but if you go to some parts of the country the locals will swear by it. Many believe that ticks are attracted to Oak trees, so keeping the population of Oaks down might help. There is a theory that has been termed the “Acorn Connection”, the belief that Oak trees produce acorns, acorns attract deer, and deer tend to host and spread ticks. The more plausible explanation may be that acorn crops play a major role in mice populations and winter survival. Mice are associated with the spread of diseases, and thus eliminating the food source will assist in decreasing the mice populations and diseases in an area. Now, we would never advise you to go and cut a nice old Oak in your yard — Oaks are a great tree that have many benefits and can be a beautiful addition to your yard. But if you are concerned about ticks, you may want to control the growth of new, young Oaks that are seeding themselves, and if you have a sick Oak in your yard perhaps it is time to replace it with something else. By strictly following these eight different methods, you can eliminate the ticks from your yard. However, continued proper maintenance of the yard is very important. 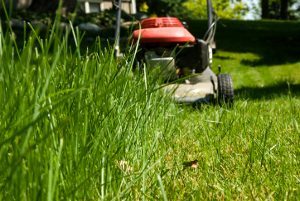 Make sure you clean your yard every second week and make sure the grass regularly mowed to the right height. Finally, even if you follow these rules in your yard, play it safe and make sure you take steps to prevent ticks in your pets and always check yourself after playing or working outside!